Every philosopher, mathematician, scientist, historian, leader or artificer like myself, must start with and embrace first principles as to how they are to execute their individual vision. It is necessary to ask yourself what are you going to do and how can you do it? What is it that you want to create? What will it be like and what is its essence, its nature, its identity and how will it differ from other entities within its genre? Naturally, my vision grew out of the many experiences I had from being a bartender for over 27 years and from loving bars and pubs all my adult life. I loved the excitement and the "action", all the interplay with others, all the wordplay, all the laughs, all the fun and gaiety, all the horseplay, all the fellowship and social interaction. I learned to tend bar in Los Angeles, and in Beverly Hills where I started as a barboy at eighteen. I was allowed to pour drinks after a year long apprenticeship, and after thoroughly learning the many drinks in the Boston Bartender's Guide, and the proper methods from the United Kingdom's Bartenders Guild. In later years I tended bar in Detroit, on Cape Cod, and for many years in New York City, where I first started fashioning a vision of a bar I wanted to create, and that bar was the kind of place that sprung up in the early 1960's on the East Side of New York....those former ethnic places that were local, informal, and unpretentious. 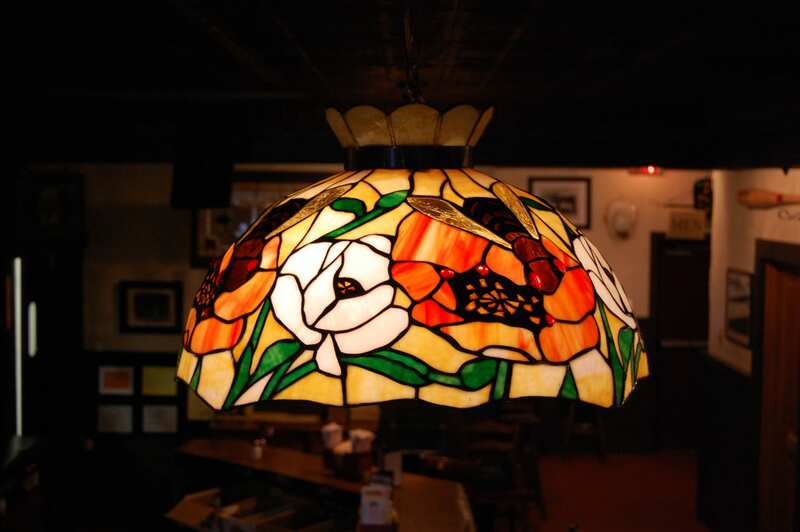 They had been mostly British, Scottish and Irish neighborhood bars that evolved into the new bar scene that eventually grew into such places as Mr. Laffs, Oliver's, TGI Fridays , Maxwell's Plum and numerous other places that began on the East Side and eventually spread all over Manhattan. This was a change in the zeitgeist of bar people and pub crawlers in New York City. People were no longer going to expensive and somewhat formal nightclubs like El Morocco and the Stork Club. They wanted a simple, informal place where they could dress down and relax. I declare that this whole thing was started by the influence of The Catcher in the Rye . This widely read work was the first significant overture against the establishment and the boring Eisenhower decade in which people were tired from World War II and needed to catch their breath. Like the Parisian cafes of the 1920's, these bars were the gathering places of 1960's New York's expatriates. In any event, I had the idea that my pub or my place would be like a proper public house that operated on the notion that since it was "public", it had to reach out to everybody. It had to be democratic. It had to be like a Noah's Ark with two kinds of every creature. I envisioned two lawyers sitting next to two poets, next to two cops, next to two businessman, next to two military guys, next to two carpenters, next to two bankers, next to two doctors, next to two writers, next to two priests, next to two comics, next to two firemen, next to two politicians, next to two artists, next to whatever. I called this "place" an "Eating, Drinking and Talking Establishment" for that advertised that this place served food and drink to humans that socially interacted with each other on this benevolent, neutral ground. 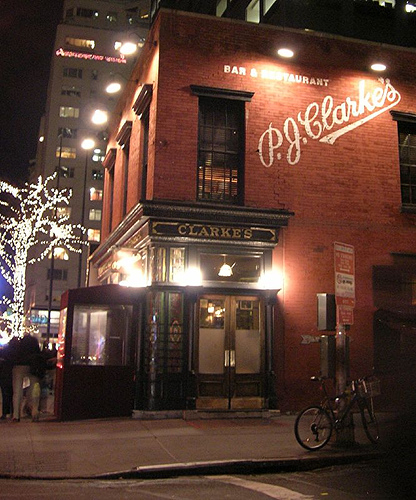 I also observed in New York City that most of these places featured names on their signs like P.J.Clarke's , P.J. O'Malley, P.J. O'Neil's, P.J. Moriarty's, P.J. Donovan's, P.J. Ryan's, P.J. O'Hara's, etc. And there was also a Jewish deli on 3rd Avenue aptly named P.J. Bernstein's. Thus my vision for my place crystalized. I decided that I would combine a neighborhood pub with a deli menu. And, actually, that was the type of place I had for about the first ten of my thirty-six years. Down the road, things changed. The way I "restaurantized" the pubs will be the subject of another blog.